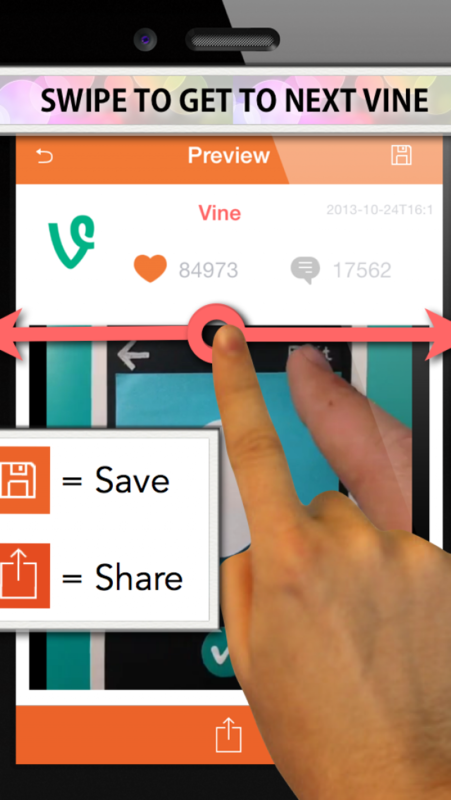 With reVine you can easily scroll through Vines as well as click as many videos as you want to save to your camera. 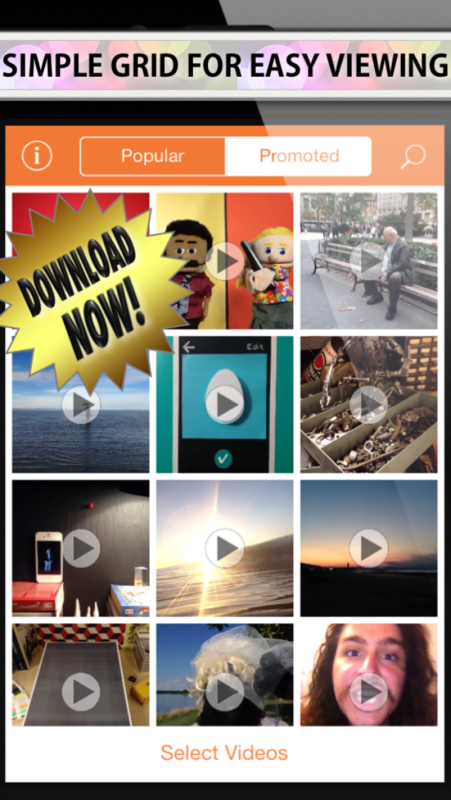 reVine allows you to easily search through Vines by way of tags or user names with it's simple user interface. 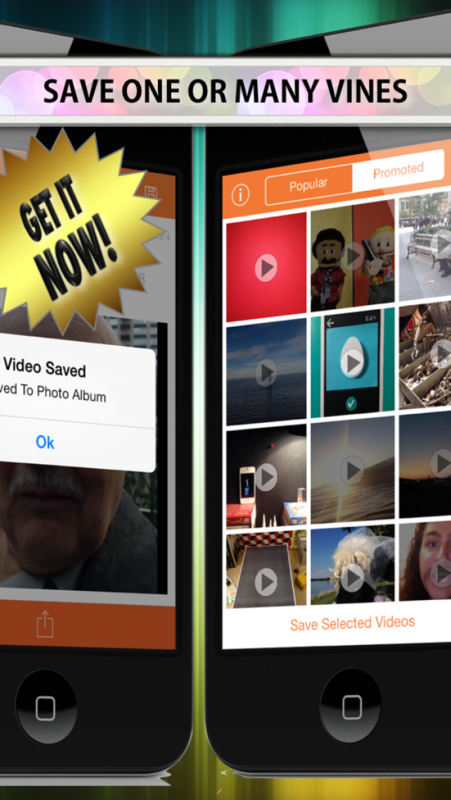 Share your favorite Vines to all the best social media sites as well.